During menopause, women will experience a reduction in their oestrogen levels, which can lead to both physical and emotional changes, including depression and anxiety. As with any time during a woman's life, changes to her hormones can lead to changes in her emotions and mental well-being. During the time leading up to menopause as well as during the postmenopausal period, a woman can begin to feel depressed and anxious. She may also feel irritable and less like her usual self. It is thought that the drop in hormones such as oestrogen levels is a trigger of changes within the brain, which can then be linked to depression. 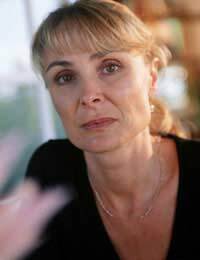 Other medical professionals, however, believe that the menopausal symptoms such as hot flashes, fatigue and night sweats are the true basis for a woman experiencing depression symptoms during the menopausal time period. As a woman struggles to cope with the barrage of physical symptoms, the theory is that the emotional aspects of handling these changes can then lead to depression symptoms. Still another belief in women's health is that it is an intricate combination of hormones and menopausal symptoms that lead to depression symptoms. At the same time, it could even be that depression occurs concurrently with menopause and that the two are not related at all, which is one current school of thought. Either way if you are having symptoms of depression, it is important to speak to your doctor. Left untreated, the symptoms can worsen. In particular, if they are interfering with your quality of life, it is best to treat them early rather than later. If depression occurs during perimenopause, menopause or the postmenopausal time period, it is generally treated in a similar way to depression occurring at any other point in a woman's life. A short course of antidepressants may be recommended and your doctor may also suggest that Hormone Replacement Therapy (HRT) with oestrogen can relieve some of the physical and emotional symptoms of both menopause and depression. However, there are still risks in women's health that are associated with hormone replacement, which means that your doctor will consider your other health factors and history as well, before deciding if HRT is right for you. Counselling is another option that may be used alone or in conjunction with oestrogen or antidepressant therapy. While you can take measures to prevent depression symptoms from occurring, if they do strike, you should feel comfortable seeing your doctor for treatment. Although it is expected that menopause can be a challenging time with numerous physical and emotional symptoms, you should not be miserable each day. There are ways to prevent and address the symptoms of depression but your doctor is an important professional to help ensure you get the best treatment possible.